The two Tuesday matches did not have the outcomes I was looking for as Asteras got an easy win against Larissa (0-3) and Iraklis got a win they did not deserve against Veria (0-1). Anyway we have four more games available today for the Greek Cup and we’ll try to make the most out of them. My time is very limited today and I am forced to keep my comments very brief. Platanias is running a losing streak of 4 matches in all competitions and it is obvious that the form they had until the first week of December is long gone. The score of their most recent home defeat against AEK (0-3) leaves no room for comments and it was totally fair. Atromitos on the other hand did not play on Sunday because their away match against Levadiakos was postponed because of the bad weather conditions. They run an undefeated streak of 5 matches in all competitions (4W-1D-0L) and they have the positive energy of the two consecutive home wins before the short break. 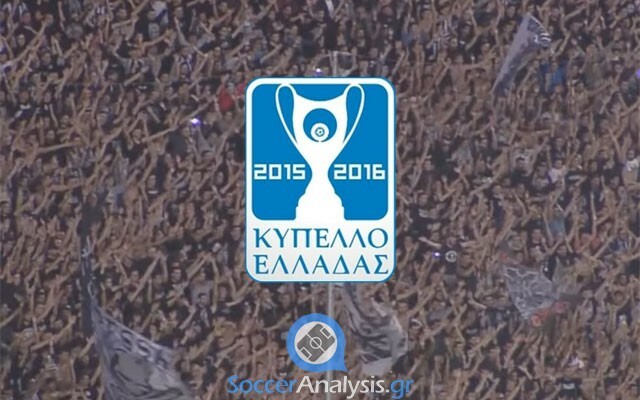 Atromitos has not lost from Platanias in a total of 7 matches in Super League and the Cup (4W-3D-0L). They have already escaped from this venue once this season (1-2) and the Cup is all they have left. My guess is that they‘ll give their best for the win in both matches as they do need to build more confidence. Just keep in mind they have not been so efficient in offense although they make a lot of chances lately. Levadiakos did not play last weekend as their home match against Atromitos was postponed because of the bad weather conditions. This will be their first game for 2016 and it will be interesting to see if they can keep up with the SUPERB form they had before the break. Despite the weak roster, Levadiakos is undefeated in both competitions in the last six matches having 5W-1D-0L! The key to their success; coach Matzios of course. Their most recent win was away against AEK (1-2) who is definitely looking for revenge today. The players of Poyet underestimated their opponent and they paid the price. The good news is AEK started the New Year with an easy away win over Platanias (0-3) after a very promising performance. It will be very difficult to see AEK making the same mistake twice especially against the same team. The reason I picked the away win is that they look more serious over the last two months when they play away. They have a lot of good players in midfield and offense and their counter attacks are very dangerous. One more thing. I wrote many times in the past that I have great respect for coach Matzios but the undefeated streak of Levadiakos is way too long for their roster. Ergotelis is playing in the second division (Football League) and they are in a deep financial crisis at the moment. They have lost some of their key players because of it and more are expected to leave soon. This explains why this match opened at 5.00-3.80-1.45 and changed to 8.50-5.25-1.15. After all, Panionios is doing very well and they look capable of reaching Quarter or why not, the Semi Finals. The last match of Ergotelis was on 21/12/15 when they got an away win against AOK Kerkyra (odds 8.50-9.00!). Panionios comes from a home defeat against Olympiacos (1-3) which was expected. For the record it was their second consecutive defeat as they had lost the previous away match at Peristeri (Atromitos won 1-0). The reason I mentioned it is because this was the first time this season they lost two matches in a row. I do not see any value in picking a winner here but I am willing to risk on the option of a low score. Panionios looks a bit out of form lately and they can easily look for a convincing win in the rematch in front of their supporters. Nevertheless it is a risky option. The debut of coach Karageorgiou at Kalloni was unsuccessful. The players had more energy (total attempts 6-13!) in the away defeat from Iraklis 1908 (3-0) but they were inefficient in their efforts to score. The defensive problems were still present with forward Vellios (Iraklis) having a party (hat trick) against the defenders of Kalloni. The Cup looks like a luxury at this moment as the only thing on their mind is how to avoid relegation in Super League. PAOK did not play last weekend as their away match against Kalloni was postponed due to snow. The players of Tudor have built an interesting undefeated streak since 08/11/15 (5W-5D-0L) in all competitions (Europa League, Super League, Greek Cup). The demanding fans of the club surely hoped for more wins in this period but the good news is the team is improving. There is no doubt they are a favorite for the win against Kalloni whatever their lineup will be. After all, they are after a place in the Cup Final. Like I said above, the Greek Cup is a luxury for Kalloni. They need to make additions to their roster now the winter transfers are open and give 100% of their energy to avoid relegation. PAOK can win this match with by at least two goals. Any other result will be a failure if not suspicious.